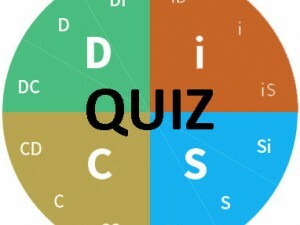 Congratulations - you have completed DiSC Profiles Quiz. You scored %%SCORE%% out of %%TOTAL%%. A person with an S Style may be limited by being indecisive, overly accommodating with a tendency to avoid change. Therefore they need others to help them prioritize tasks. A person with an i style values coaching and counseling, freedom of expression and democratic relationships. People with this style enjoy competition and winning. They like to feel in control of their environment. They prioritize competency in both themselves and in others. They do not like feeling vulnerable. Step back and give them more autonomy. Meet regularly with them to assure they are meeting your expectations. Compliment their performance and expertise. Put them in the spot and provide opportunities to network. People with the D style are demotivated by routine, foot dragging, and being under tight supervision. They respond well to working independently, setting results-oriented goals, and being praised with concrete examples of their achievements. A person with a i style prioritizes taking action, but may be limited by being impulsive and disorganized with a lack of follow-through. C customers want to be assured that they are committing to the best, so they may scrutinize any offering for flaws or deficiencies. 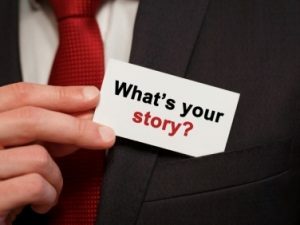 Have as many details and facts at your fingertips as possible. A person with a D style is motivated by winning, competition and success. A person with a C style is described as careful, cautious, systematic, diplomatic, accurate and tactful. Let them know their ideas are being heard. Give clear guidance and time to complete tasks. Give clear directions that address methods and logics. Give them challenging projects that have an impact on the bottom line. People with the S style want to be given clear guidance and time to perform their tasks, and they don’t want to be rushed for quick answers. Provide them with the structure they require. Offer support by providing the information and resources they need to do their work. Give them time to have their say and avoid purposely escalating the argument. Stick to the facts and avoid hot buttons. Take a more diplomatic and patient approach. Avoid being impatient or lashing out emotionally. A person with an S style is motivated by cooperation, and values collaboration and stability. They are uncomfortable with confrontation and chaotic situations. People in conflict with an S-style will get through it best by being diplomatic and patient. Avoid forceful tactics that will cause them to hide their true feelings. I took the DiSC training in 1985. My certification lapsed but I still use the Classic occasionally in pre-marital counseling and team building and leadership sessions. I hope you still did well on this test. I’m sure you did. Have you tried any of the new Everything DiSC profiles? This test shows me that i understand my D qualities pretty well and that i need to work on understanding the other qualities better when i see them.